During our layover in Mae Sot we ran into a local philanthropist named Fred Stockwell, a well known local who has taken it upon himself to deliver aid to a local group of Burmese refugees living and surviving in the local dump on the outskirts of town. Fred requested our help for a day to treat a number of patients that he lacked either the supplies or medical capabilities on his own. 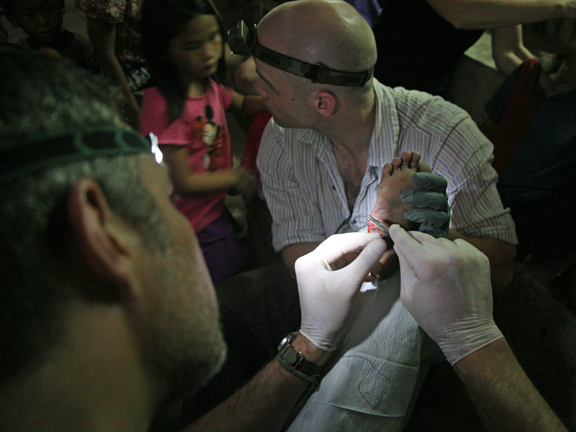 Dr. Eisner and our medic (and team leader) Jason Jarvis worked throughout the day with the help of mid-wife Laura MacPherson on a number of refugees, adult and children, suffering from ailments ranging from open wounds to those suffering from dengue fever and stroke. 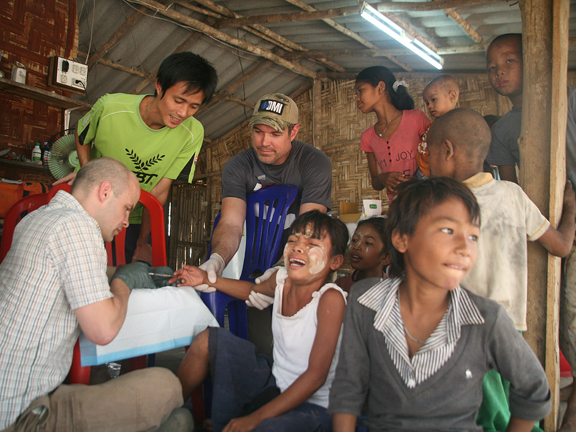 Our team leader Jason spent a great deal of time not only treating wounds, but training our host Fred on a number of minor procedures that who could do on his own. 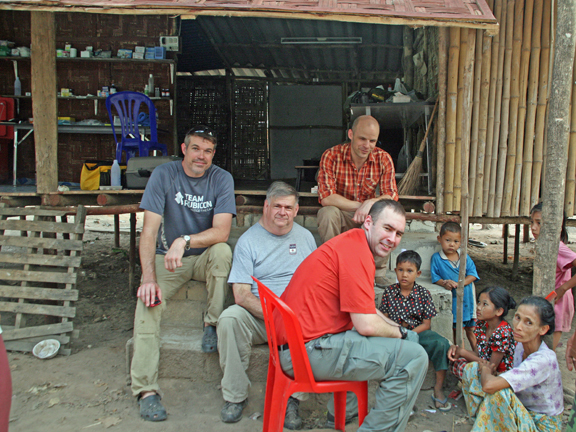 Our team would check in on the same group of refugees days later as we left the jungle and began the long trip home.